Why are we still drawn to the work of Alfred Hitchcock so long after his final film appeared? What remains to see? What could there possibly be left to say about tales that are overwhelmingly familiar? Why, moreover, have many of Hitchcock's films entered the popular imagination and enjoyed an eventful life far from the screen? What is the source of Hitchcock's magic? This book answers these questions about the influence and ongoing appeal of Hitchcock's work by focussing upon the fabric of the films themselves, upon the way in which they enlist and sustain our desire, holding our attention by constantly withholding something from us. We keep watching, keep revisiting the stories, because there is always something left to see and know. The book combines detailed textual analysis of a number of Hitchcock's most famous films - Psycho, Rear Window, Rebecca, North by Northwest, The Man Who Knew Too Much, and The Birds - with more general discussion of the director's complete body of work. Drawing upon the poststructuralist theories of Roland Barthes and Jacques Derrida, it takes issue with the biographical and psychoanalytic approaches that have dominated studies of Hitchcock's films to argue instead for the significance of textuality. 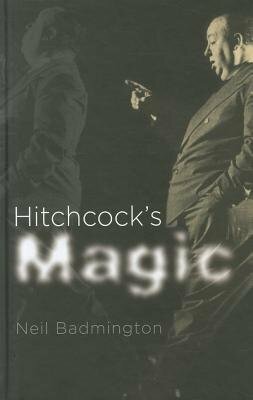 Hitchcock's Magic is an innovative, lively, and readable book which challenges critical orthodoxy and breaks new ground in the field.